Winchester Super Pheasant Lead Shotgun Shells for Hunting/Target. 20 Gauge, 3", 1 1/4 oz. Case price, 10 Boxes with 25 Shells/Box, 250 Shells Total. Built for performance with long-range power, hard hitting plated lead shot and a tight-patterning wad that builds on the hunter's trust in Winchester and its legendary excellence. High brass magnum for long distance magnum performance. 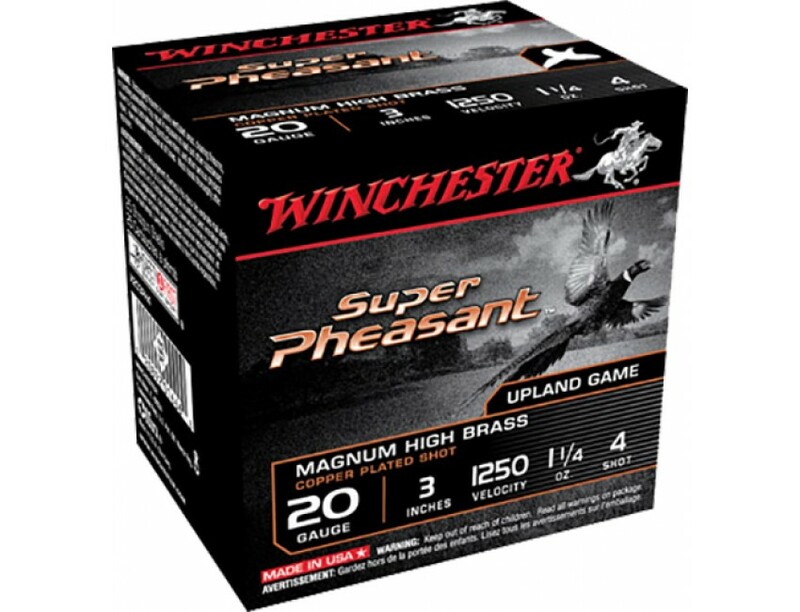 Super Pheasant is the ideal shotshell for hunters seeking an edge in the field.